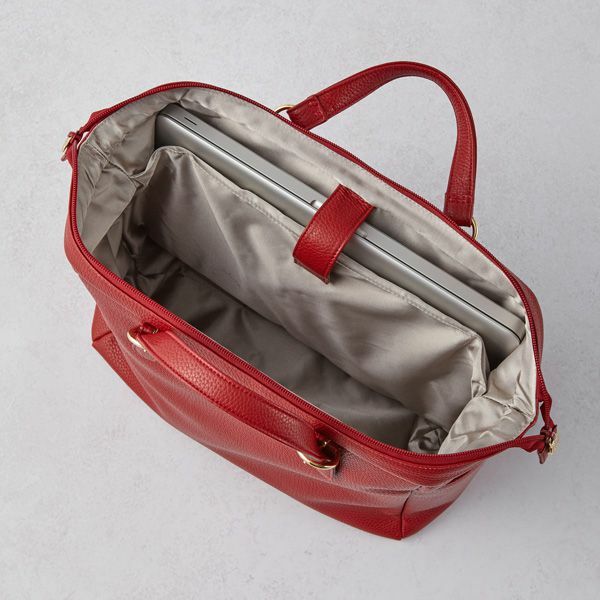 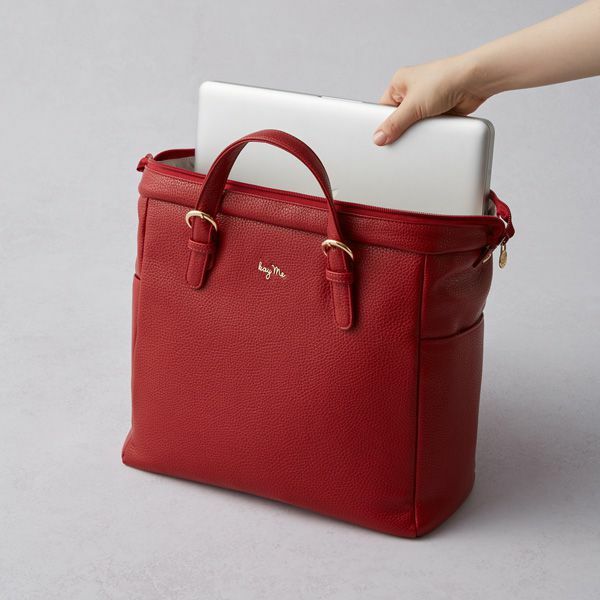 Wear as a backpack while commuting, and transform into a handbag for greeting clients. 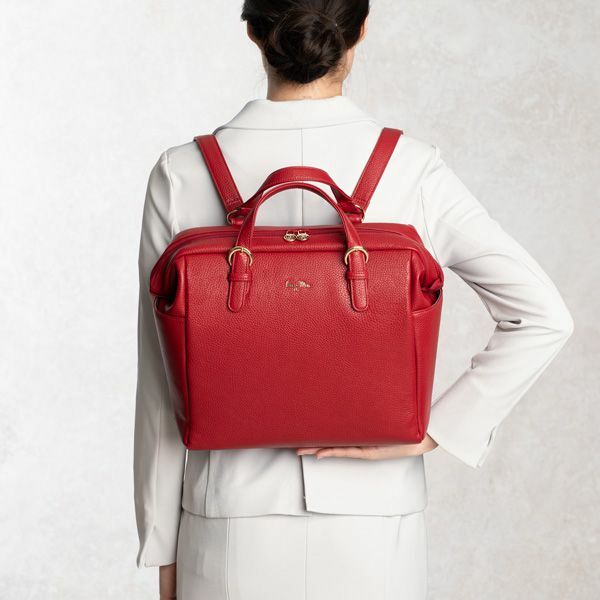 Straps contain foam-like material for a lightweight backpack that’s kind to your body. 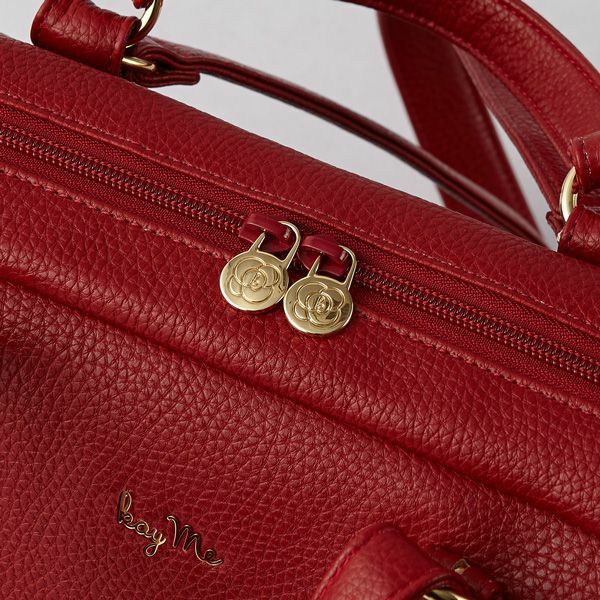 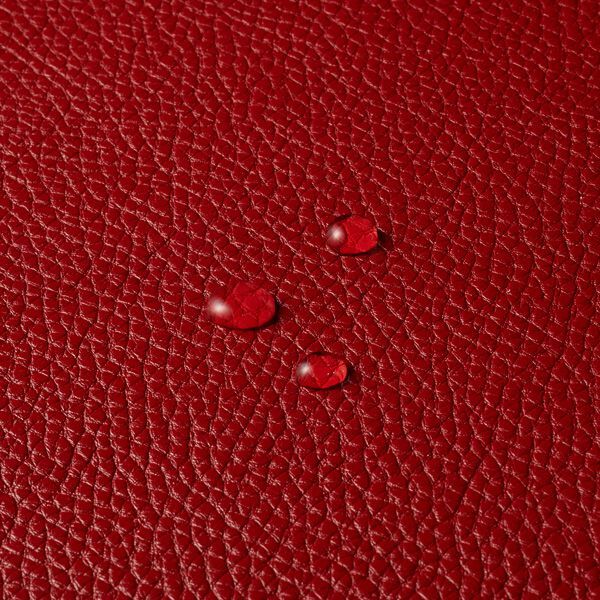 Enjoy wearing our red bacg with matching or contrasting colors, and spot the kay me rose logo zip pulls.